Samsung will launch its foldable smartphone in March 2019, according to a new report from South Korea. The all-new flagship handset, purportedly dubbed Galaxy X or Galaxy F, was briefly unveiled on-stage during Samsung's annual developers conference in the Moscone West Centre, San Francisco last week. Samsung mobile boss DJ Koh, pictured above, says the company will produce one million Galaxy X foldable smartphones in the initial run. It will then decide whether to ramp-up production based on the response. A March 2019 release date for the Galaxy X makes a lot of sense. With the exception of the Galaxy S8, which was delayed due to the overheating battery issue that did for the Galaxy Note 7, Samsung has used the Mobile World Congress tradeshow to unveil its latest flagship Galaxy S handset every year since the Galaxy S5. The new hardware is showcased on-stage during the MWC keynote in February, before hitting stores across the world the following month. 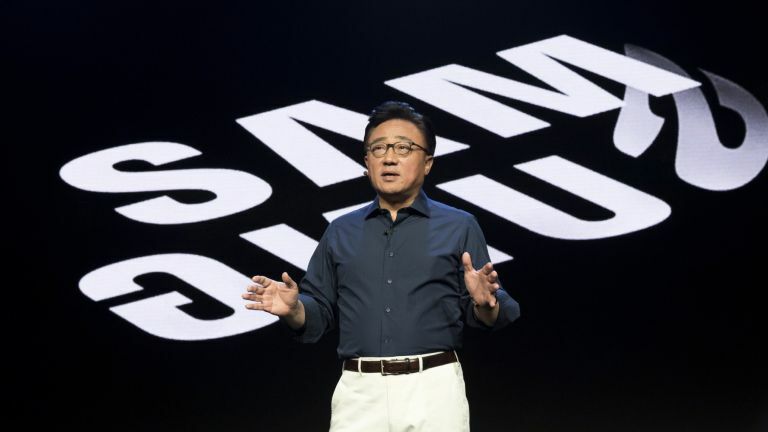 According to the latest rumour, Samsung will keep to the same schedule in 2019 and take the wraps off its latest slate of handsets – Galaxy S10, Galaxy S10 Plus and Galaxy X – during the consumer technology tradeshow, before the hotly-anticipated devices go on-sale worldwide in March. Previous whispers from within Samsung suggest the folding flagship price will be eye-wateringly high, pegged around the 2 million Korean won mark, which is about £1,365 – and that's before taxes, while pre-orders could be a veritable bun fight. Samsung Galaxy X will have two displays, including an expansive 7.3-inch Infinity Flex Display that unfolds like the inside pages of a paperback novel without a hint of a crease or a fold down the centre of the OLED. When the 7.3-inch Infinity Flex Display is folded away, Galaxy X users will interact with the so-called Cover Display – a 4.6-inch screen on the front of the device that will offer a standard smartphone experience.